Tournament Director: Jimmy Nails & Hugh Dickson. Players compete in head to head matches over 3 hours. The player with the best win/loss ratio at the end of the allotted time is declared the winner. 3. At the end of 3 hours no more games may start. Ties will be broken by the most wins. 4. Extra balls turned off when possible. 5. 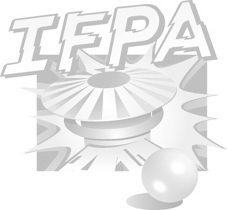 All rulings and malfunctions will be based on the rules for the IFPA World Pinball Championship.